Few weeks ago, we received this nice comprehensive guide in our boxmail. An electrical engineer sent it to us in order to help our junior maintenance technicians in the community who read the blog a lot! Irrespective of the usage, electrical components tend to develop inconsistencies, just like any other components, as they age. Faults developed in electrical components, especially, in critical equipment such as switchboards and circuit breakers, are largely governed by the environmental conditions such as humidity, corrosiveness in the atmosphere, dust, dirt, etc. Other factors that can affect switchboard efficiency are: operating loads, age of the equipment, current harmonics and poorly recorded maintenance reports. In order to make sure that your low voltage switchboard operates properly and lasts long, it is imperative that you conduct preventive maintenance at regular intervals with the help of qualified professionals. It should also contain details of the components that are yet to be tested and results of the already tested components. 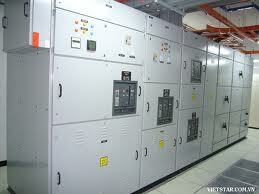 What equipment is needed for regular switchboard maintenance? What tests have to be conducted to ensure smooth operation of the switchboard? Insulation tests to check the resistance: Insulation tests should be conducted regularly to check the resistance of the bus and circuit breakers. It is understood that there are no specific parameters that confirm satisfactory insulation. Nevertheless, the readings you record regularly during the tests, when the system is working normally, can serve as a yardstick in taking necessary action if the readings are much lower compared to the regular ones. Potential Tests: These tests are required when a maintenance, repair or replacement is conducted on the main circuit, which is also known as bus assembly. Otherwise this is not compulsory regular test and can be scheduled for long intervals, say every two years. 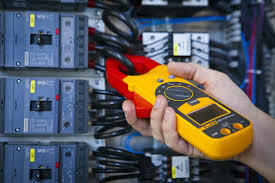 Operation test: After the switchboard is serviced, repaired or replaced, it is required that you conduct an isolated operating test by connecting the switchboard to a separate source of power supply. This test is conducted to make sure that everything is OK, before use the switchboard for regular service purposes. In order to reap the above mentioned benefits, utmost care should be taken to see that the maintenance is undertaken by qualified and appropriately registered maintenance personnel. Care should also be taken to ensure that the recommendations (for maintenance) made by the manufacturer are followed promptly. After reading this tutorial for beginners, what do you think and what can you add about the topic? or copy this trackback: http://engineering.electrical-equipment.org/panel-building/maintaining-low-voltage-switchboard-tutorial.html/trackback from your own site.